Below is a small sampling of the squadrons flying in WarBirds. These are the squadrons that opted in to recruiting for new pilots on our website. For more squadrons, please visit our forums on our forums. 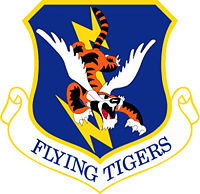 The 23rd is a Historical Representation of the WWII Flying Tigers. We are a fun group that enjoys our Historical Legacy and we try to represent the men who served our country in this squadron. The men who gave their lives performing a difficult mission for god and country. Their sacrifices and triumphs are talked about and their memories carried on. The Flying Tigers were some of the best pilots who ever flew during the WWII era. It is our Honor and Privelage to represent them in the Warbirds Simulation. Come join the fun! In Warbirds, Duxford Wing comprises No.19 Fighter Squadron in the Main Arena, with RAF Duxford Wing being our special events squadron for the European Micro Campaign series (EMC's). The virtual Duxford Wing seeks to honour the Royal Air Force pilots and support crews active during World War II, based at home in the UK and subsequently in active theatres of war across Europe and Africa and who fought in many air battles, notably in the Battle of Britain but also overseas in both attack and defence roles. Most of our pilots have the skills to conduct both fighter and bomber missions and so we operate fighter sweeps, low level intruder raids and escorted bomber missions, so that there is something for everyone. We also jump into ground vehicles now and then for a bit of fun, especially if it assists a strategic objective in-game. Our virtual pilots are from many countries around the world. Please feel free to wing up with us online or make initial contact by registering on our website and then posting in on our forums. 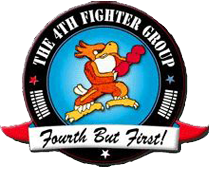 The Fourth Fighter Group is as faithful of a recreation of the historical Fourth, and of the Eagle Squadrons that comprised it, as is possible within the limitations of the Game and of our pilots' time. The Fourth is also a Squad where our pilots can enjoy themselves as they strive to emulate the superb combat record of the World War II 4th Fighter Group. We place a heavy emphasis on training in both combat and non-combat flying so that we can both perform well in our assigned roles and do so in such a fashion as to show respect to the real pilots of the Fourth. We are always looking for new recruits and training is available online. If you think you have what it takes to become a "Fouthman", we would like to hear from you. 416 RCAF "The Lynx" A Canadian Squad that excepts Americans as well as Canadians. Our web page has the WW 2 History of the Squad.